Tourism businesses for sale in the Byron Bay, Tweed Valley, Gold Coast hinterland region of Australia. Tourist accomodation for sale and lease. Bed and Breakfast, B&B for sale, rainforest retreats for sale, guest inns for sale. Australian businesses for sale. 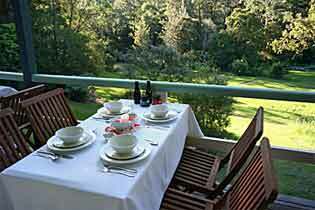 Northern Rivers and Gold Coast hinterland real estate agents. Tourism businesses and real estate and for sale in the Byron Bay, Tweed Valley, Gold Coast hinterland region of Australia. Looking for a seachange. treechange or just a change of pace? Tourism businesses for sale or lease, including B&Bs, guesthouses (inns), retreats and resorts, plus real estate, rural acreage and properties for sale in the Ballina, Byron Bay, Tweed Coast and Gold Coast hinterland, for sale by owners or representatives. Property Services and Real Estate Agents are also listed. Potential buyers are looking for you here. about our "Tourism Business for Sale" promotion, and put your business opportunity in front of the many visitors to this directory who are looking for a lifestyle tourism business investment located in Australia's most popular holiday destination.